The University Series is a large multi-parish adult education program during the season of Lent that was started in 2002 by Fr. Dave Heney when he was the pastor of St. Paschal Baylon parish in Thousand Oaks. 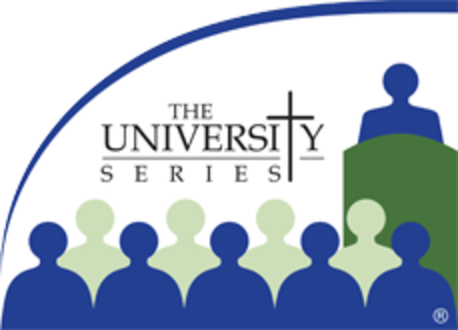 This year, March 7 to April 12, the University Series will be in session in the Ventura, California area and the Whittier, California area and offer over 90 different sessions that connect our faith with real life; offering sessions on scripture, marriage and family, current events, archaeology, science, spirituality, and modern moral issues. Each year, over 11,000 people have attended University Series sessions. So many people have found that the season of Lent, just before Easter, is a perfect time to gain valuable insights, deep wisdom, and practical help for daily living. All sessions are from 7:30 to 9pm, and each speaker is encouraged to have a Q & A time. On any given night, there might be as many as four or five sessions to choose from among the 12 University Parishes. You can find everything you need to know about the University Series by clicking the link below.